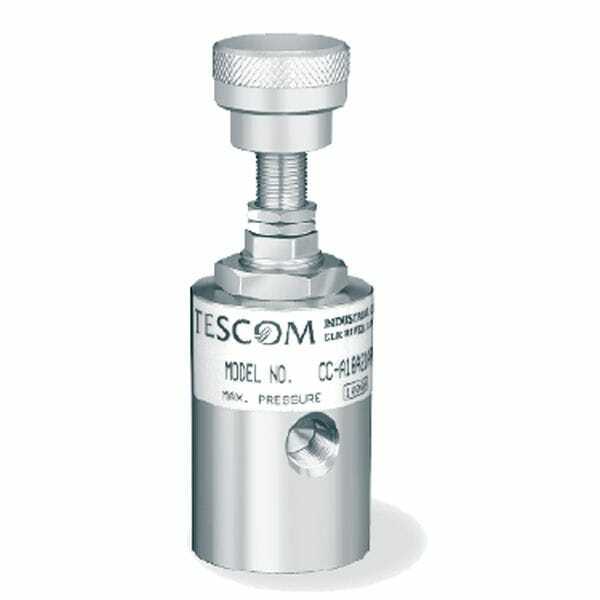 The TESCOM CC metering valve has a rating of 960bar or 10,000psig, and provides exceptional flow control, as it features more than 20 turns from shut-off to full open. Ideal applications are GC carrier gas, injection systems, calibration systems, critical fluid extraction and sampling systems. This valve can be used at low and high pressures and offers positive pressure application. Gas flow is also controlled with a high amount of accuracy. Seat wear reduction is made possible with features such as the non-rotating stem.